Just to show how out of touch I am with CHI stuff, I stumbled upon a workshop entitled “evaluating affective interfaces – innovative approaches” this afternoon. Only 4 years after the actual event. Here’s a link to the web page with details of all papers. 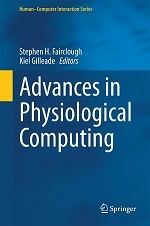 This entry was posted in Research and tagged affective computing, evaluation, usability on May 6, 2009 by Steve Fairclough.